"I can´t express with words how wonderful is my new instrument. Everything is perfect: the details, the finish, the sound, the design... I have received the best treatment of Anwyn and George. The communication during all this time has been excellent, and Anwyn and George have answered every doubt I had. They also have adviced me since the beginning, guiding me to the best option for me. I´m extremely happy with my instrument: the relationship between price and quality is excellent. The quality of the sound is superb, clean and wonderful. Everybody loves it. Thank you so much for everything. ​Lots of hugs for you!!!!! "Just a message to confirm that the instrument has been received yesterday morning. It is in perfect playing order. Congratulations, it is really beautiful and plays very fine." First, I have been having a blast with the hurdy gurdy. We're working it into more and more sets with our band. I also bring it with me to the weekly sessions I lead in town. I thought you'd like to know that I entered a national Irish music competition (Fleadh) in Chicago a few weeks back. I prepared four tunes on the hurdy gurdy for the "Miscellaneous Instrument" category. The hurdy gurdy attracted a great deal of attention over the weekend. Much to my surprise, I won first place in the competition, qualifying me for the "All Ireland" World Championship. I played a slow air (The Maids of Araglen), a March (O'Sullivan's), a set dance (Jockey to the Fair), and a jig (Jim Ward's). I sincerely hope all is well by you guys--Altarwind is awesome! "I just wanted to thank you for my beautiful instrument. It arrived safely and I just love playing it. 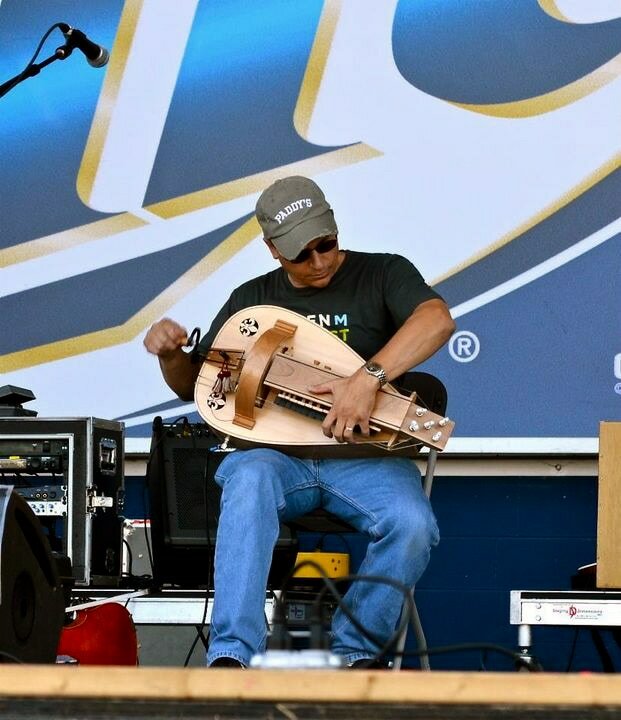 A musician friend of mine couldn't believe how inexpensive this finely crafted instrument was. I've been breaking it in this week and it's starting to sound awesome. 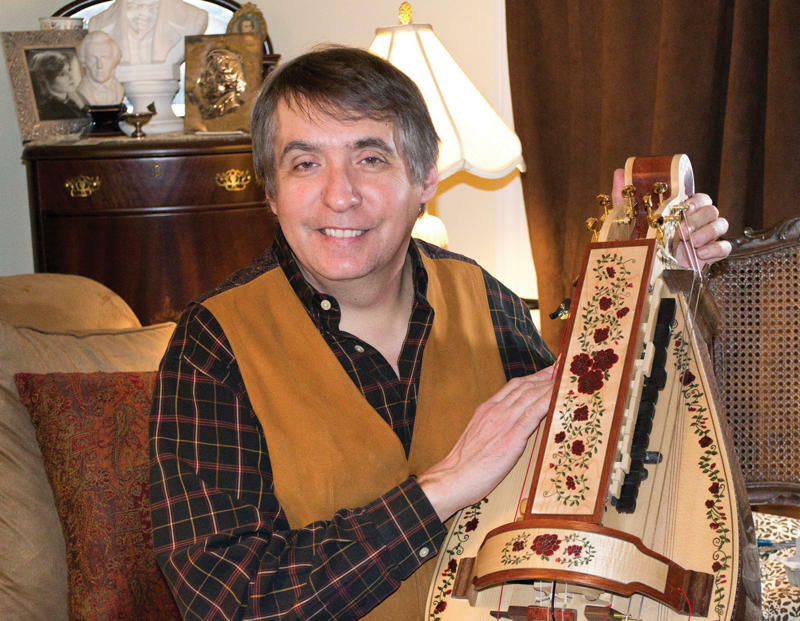 I have been playing it so much that I actually woke up last night on my couch with my hurdy gurdy still in my lap. Well I gotta go, I think I hear my hurdy gurdy calling. Keep up the great work." you have both been a pleasure to work with. My new hurdy gurdy is even better than I expected it to be (and I expected it to be wonderful in the first place!). The craftsmanship is superb, and most importantly, it sounds superb; it practically plays itself in that when it's tuned up (which is also easy to do because it's well made! ), it literally "sings!" Having been a musician for many years, I can honestly say that I appreciate your informed, professional, friendly and responsive personalities. Plus, the features that you offer on your gurdys are outstanding (i.e. the Marshall Plate, on/off buttons, easily adjustable bridges, etc). You have taken hurdy gurdy technology to a whole new level with your creativity and understanding of the mechanisms involved. First, let me say that George's hurdy gurdies are absolutely fantastic. I play professionally, and am thrilled and delighted with the instrument in every way. The instrument is very solid, and definitely up to travel. I play it on gigs 2-4 times a day. It is as beautiful to look at as it is solid. I get the most admiring "ohhs" and "ahhs" as I take it out of the case. I do a lot composing on different instruments. I can honestly say that since getting this Hurdy Gurdy I've been inspired without a lapse in creativity. In fact, I just pick up the instrument and it seems to just play new melodies all by itself! I think that the better the instrument, the easier it is to create music on it, whether your own or someone else's. And as a composer, I'm more than happy with the inspiration and ease of composing this instrument offers."